Last week at this time, I was doing what I’m mostly doing now. cooking, packing fresh challah and potato kugel for a child going away for Shabbat. Last week, it was my youngest son, a soldier in the army. He was going to spend the weekend with some friends from high school. This week, it’s my youngest daughter, going to spend Shabbat with her friends. We are rarely alone, my husband and I and now this will be the second week in a row that we’ll sit together – alone – at our table. Last week, my thoughts were on our quiet weekend together; this week, I’m thinking a lot about someone I never met…someone I never will. As Israel was preparing and welcoming the Sabbath, Hadas Malka was living her last moments in this world. She sent a picture of herself, smiling, to her friends – wishing them a peaceful Sabbath…and then she was attacked by Arab terrorists and killed. This past week for most Israelis has been a hectic rush as summer comes closer and closer. Most high-school kids finished classes and are preparing for how they will spend their summer. Summer plans and vacations are being finalized. And through this busy week, there was something different in this country. Hadas Malka wasn’t here. Her family sat mourning, according to the Jewish custom of “shiva” and friends and family gathered around them. Now, as the Sabbath comes closer and closer, Hadas’ family ends their week of mourning. What they probably know already is that though the week has ended, the mourning never will. 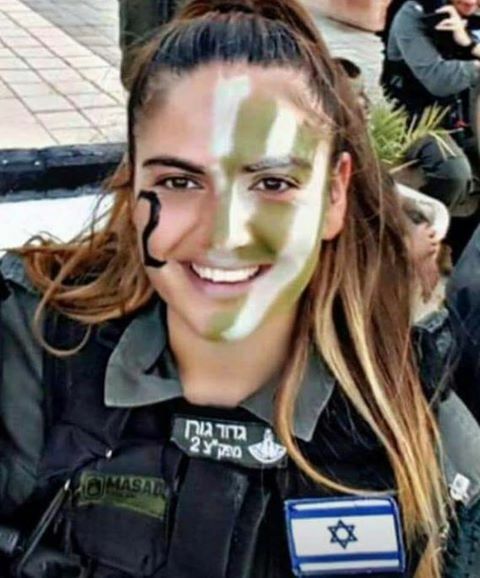 In one cruel and bitter moment, as Hadas moved on to the next world, they joined those we call “משפחות שכולות” – bereaved families. Somehow, one of the saddest things about life is that it can change in seconds. Sometimes it is because of something we did – not paying attention enough or doing something that we’re sure will be okay, un til it’s not. And sometimes, there’s nothing different we could have done. I’ve heard so man stories of how parents were notified of the death of their child. 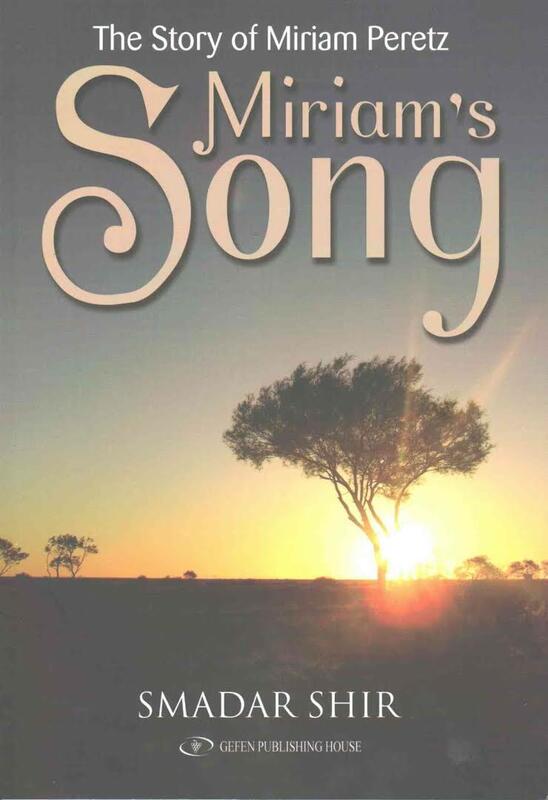 Months ago, I read a book about Miriam Peretz called, Miriam’s Song. It’s an amazing book about an amazing woman. She lost two sons – both died as soldiers in the Israeli army. She wrote about those moments when they came to tell her; how she didn’t want to let them in the house. It was as if she could hold off the bad news, if she could just keep them out. 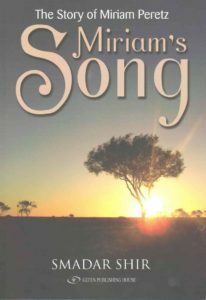 What is beautiful about the book is how she continues to have faith and find solace by digging deeper into her beliefs. Miriam also speaks to bereaved families, helping them learn to cope, because sometimes even coping is beyond what they can imagine doing. It’s getting late. Shabbat is coming. Soon, I will light the candles. The table is already set. One by one, my children call to wish me a good Sabbath and to check in. My daughter has arrived at her friends house and they are getting ready there. I check the news one last time before I close my computer and put it away for 25 hours. Nothing. Quiet…as it was last week when I checked. Please God, let this Sabbath come in peace and end in peace. The “holy” month of Ramadan has ended. According to one site, it is one of the bloodiest Ramadans yet. Thousands killed and injured in more than a dozen countries on several continents. For now, as the sun lowers in the sky, we close out the world. Shabbat is a time of peace and quiet and I’m usually grateful for the silence. This time, my stomach can’t quite settle.